Ben Franklin knew a bit about organization and time management—at least, his words suggest as much. He said, “a place for everything and everything in its place.” He also said, “Don’t put off until tomorrow what you can do today.” We think both are good advice. 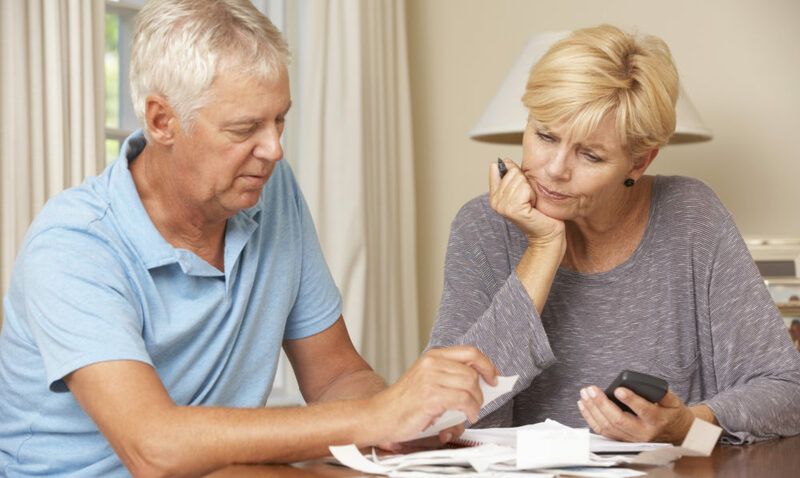 Many seniors could benefit from heeding these wise words when handling their financial records. Do you have jumbled piles of papers in drawers or filing cabinets? If so, finding what you want when you need it can be challenging and frustrating. If you don’t have an effective system in place, how can you begin to create one? Retirement may provide the time you need—an hour or so daily over several days—to devote to the task. This can be an ideal project for retirees enjoying a time of independent senior living. The long-term payoff will be worth the effort. The next time you need a certain document, simple—you should be able to find it. Bills to be paid – credit cards, utilities, medical, car payments, etc. Create and label a file folder for each category. In folders with few contents, place the items in chronological order, with the most recent on top. For folders with more paperwork, try separating documents into sub-categories before arranging them by date order. List relevant names and contact information on each folder. It’s best to store some documents in a fireproof lockbox: wills, deeds, social security cards, education and military records, marriage licenses, divorce decrees, funeral plans, private loan agreements, stocks and bonds. We know financial matters are foremost on the minds of most seniors. At Country Meadows Retirement Communities, we host financial planning programs on a variety of topics that interest them and their families. Are you thinking of choosing a retirement community? We can help you compare costs of an independent living community (or any of our care levels) vs. remaining in your current residence. Seniors and their families are often surprised to learn that a retirement community doesn’t always cost more than remaining at home. We would be glad to discuss specific costs with you and, if needed, financial options to assist you. At Country Meadows, we offer all-rental, month-to-month retirement apartments with no buy-in fee. Our monthly service plans include an apartment, meals, social programs, weekly housekeeping, maintenance, transportation, laundry, cable television, WiFi and many other services—all included in one simple monthly bill. We invite you to contact us to learn more about our senior living communities or schedule a visit to any of our retirement homes—10 in Pennsylvania and one in Maryland.